Let’s say you’ve already added precious metals to your IRA. (First off, congratulations!) Maybe you understand the preliminary details of how IRAs work, but there is a lot more to IRA rules than meets the eye. We spend a lot of time on this blog discussing the benefits of gold and other precious metals. We’ve explained why fiat money is doomed in the hands of political elites. We’ve gone over the best gold coins and bars for investors. But this isn’t just the gold guide. 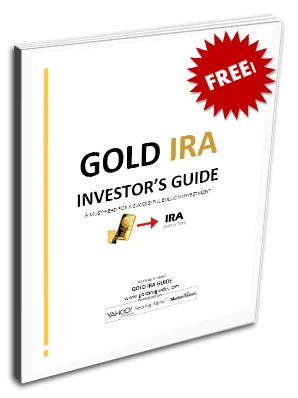 This is the Gold IRA Guide. Let’s talk about IRAs. Here are some little known facts about IRAs and how they function. Most savings vehicles are open to your creditor's liens – but not IRAs. Almost all tax-advantaged retirement assets are offered a special protection from their owners in the event of a bankruptcy. The Bankruptcy Abuse Prevention and Consumer Protection Act of 2005 extended an exemption to IRAs, effectively removing them from the bankruptcy estate. What this means is that you cannot be forced to liquid or give up your IRA investments (even your gold). This even applies to your assets if you have been successfully sued and made liable for payment. These protections are not limitless and do carry some exceptions. For example, any IRA money that you received as part of an inheritance does not qualify for this protection. Additionally, the limitation on exempted funds is $1 million for all total IRA assets in your possession (though judges may, at their discretion, waive or increase that limit). A Last Will and Testament or a Trust are not the end-all-be-all for designating how IRAs are paid out. This is because each IRA carries its own beneficiary designation. And, no matter what language you put in your will or your trust, the IRA designation will rule the day when it comes time to pass on your IRA. Beneficiary Designations are very important in an IRA. The designation occurs when the account is opened (but can be changed and modified afterwards). You will receive a beneficiary designation form with almost any retirement account and IRAs are no exception. Suppose you are ineligible to take an IRA deduction (see some examples here), you have what is referred to as a “Non-deductible IRA.” These IRAs have the same contribution limitations as a Traditional IRA and will only differ in how they are taxed (it is possible to make non-deductible contributions to a traditional IRA, however this complicates your taxes and will make it harder to move those funds to a Roth later on. It is better to just establish a separate IRA for your non-deductible contributions). Suppose also that you made too much money in the past year to contribute to a Roth IRA by normal means. This is the case if you make greater than $129,000 (single) or greater than $191,000 (married filing joint taxes). Under these circumstances, you would typically lose out on some of the tax saving potential of IRAs – which is, really, the whole point of an IRA. Luckily, there is a way around this problem. This conversion is a taxable event, so you should carefully consider your tax basis beforehand. It is especially important to note that the IRS will consider all IRA accounts, not just your Non-deductible IRA, when calculating basis. Purchasing physical gold with your investment funds provides you the opportunity to profit even when equities and bonds are in decline. Precious metals retain value no matter what our government does to the dollar, no matter what economic climate is persisting and they have a track record of value dating back thousands of years.